April Bloomfield's pancakes are delicious on their own and exquisite with crunchy sliced almonds and ingeniously vibrant orange syrup. For a new take on poached eggs, Defne Koryürek adds sizzling feta, olives and toasted bread. "I like big flavors through small bites," says Steve Sicinski of this vibrant salad. These addictive bacon strips are slathered in a spicy honey mixture. Master chef Jacques Pépin's luxurious omelet is draped with long, thin strips of pressed caviar. 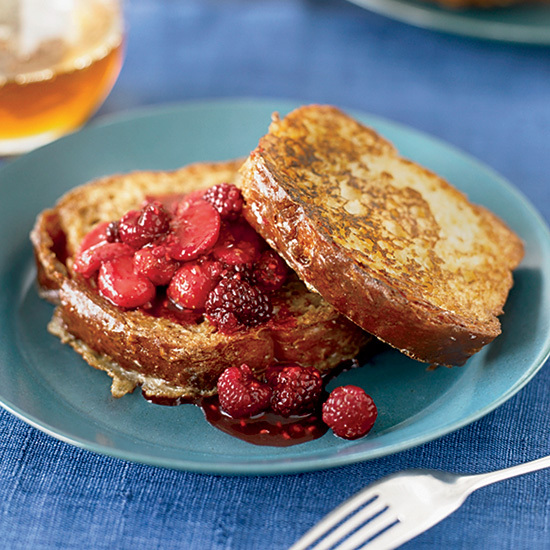 Using agave nectar instead of processed sugar gives this fantastic recipe a healthy spin. 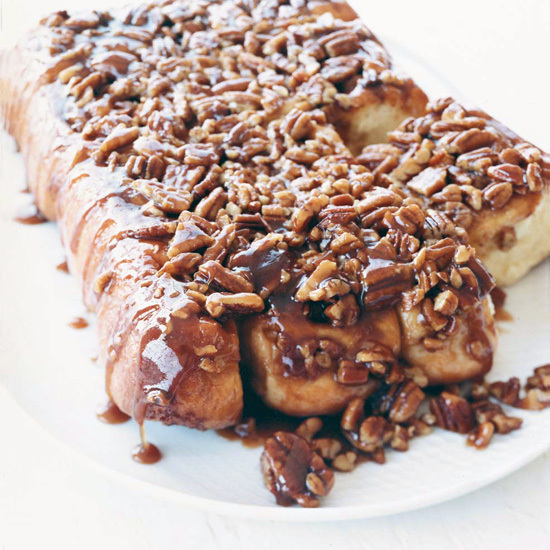 These sticky, nutty rolls are easy to make ahead of time. Top these delicious waffles with maple syrup or this simple, rich Belgian chocolate-fudge sauce. 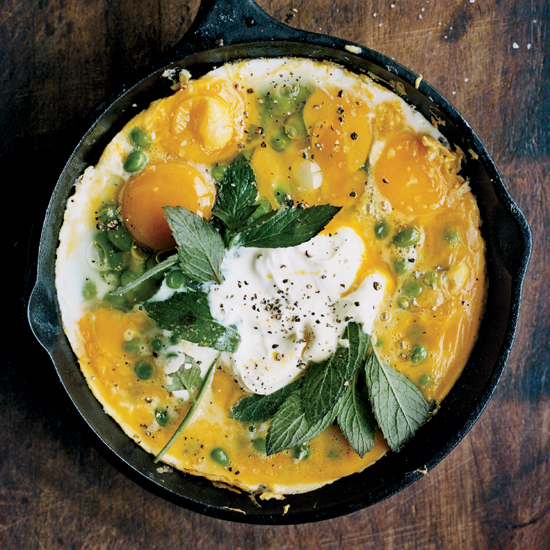 Similar to a frittata, this Spanish dish is delicious warm or at room temperature. Jean-Georges Vongerichten's terrific quiche is made with the same toppings found on Alsatian pizza. Black pepper, Tabasco and fresh chile give this drink delicious heat. These chocolate-frosted cupcakes are topped with salted peanuts, mini chocolate chips and mini marshmallows. Chef Tim Love re-creates his mother's delicious recipe.